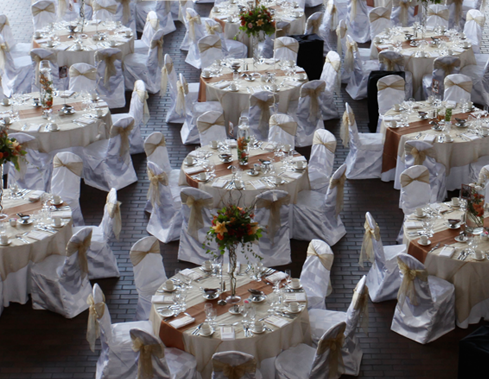 Elegant Chairs specializes in chair cover rentals for wedding receptions, banquet, or any formal event. We provide unique custom designed wedding chair cover rentals, table overlays and runners. Elegant Chairs decorates Dessert/Candy Tables that complement your special event. We also design table favors that harmonize your occasion. We will work with you to make your day very special.